Enveloped, spherical, about 120 nm in diameter. 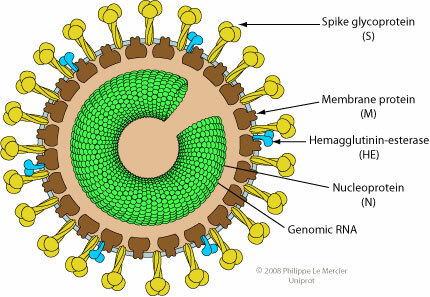 The RNA genome associate with the N protein to form the nucleocapsid (helical for the genus coronavirus, and tubular for the genus torovirus). ASSOCIATED DISEASES Gastroenteritis and liver problems.